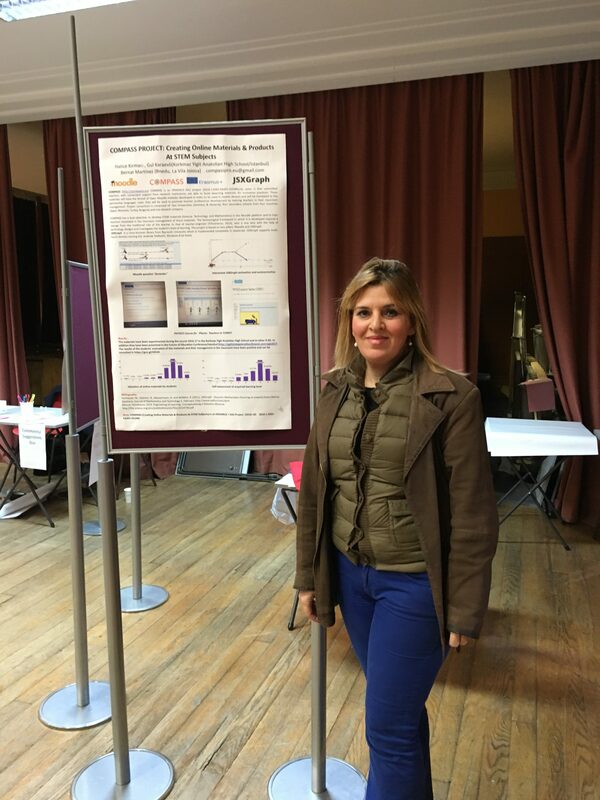 Hatice Kermaci and Gul Karaevli teachers from Arnavutkoy Korkmaz Yigit Anadolu Lisesi, Istanbul, have presented COMPASS project by means of a poster in Edinburgh Physics Festival. Edinburgh Physics Festival has been organised by IOP (institute of Physics) in George Watson’s College in Edinburg . There were around 200-250 people(students,teachers,families). It is a brand new festival celebrating the wonders of science, the power of curiosity, and the inventions and discoveries that shape our world and our future. From scintillating science shows to messy hands-on workshops, cutting-edge games, creative talks and much more, the Festival offers something for all ages and interests.